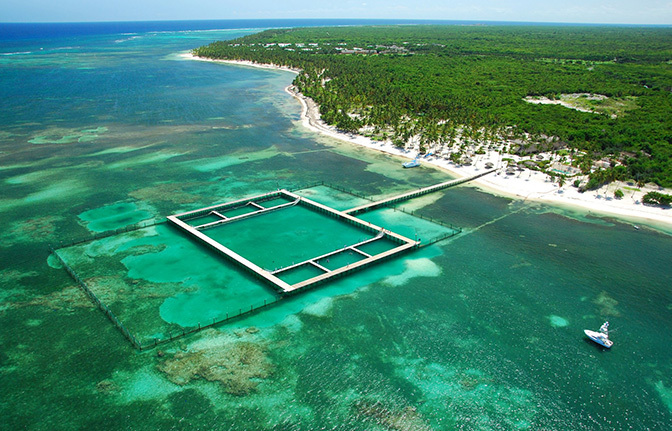 Dominican Quest invites you to join the amazing Dolphin Explorer Funtastic from your hotel in Bayahibe. It is the most suitable of all pograms offered by the park if you are travelling with small kids. 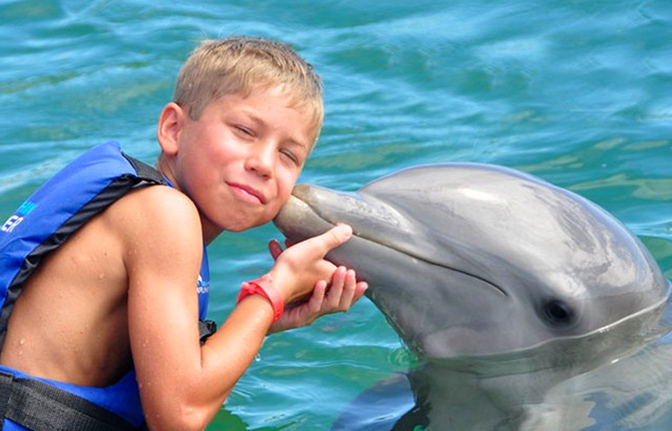 We will pick you up directly at your hotel in Bayahibe and take you directly to the Dolphin Explorer wildlife park in Punta Cana for a once in lifetime experience that you and your kids will always treasure. At the park you do not need to be an expert swimmer. 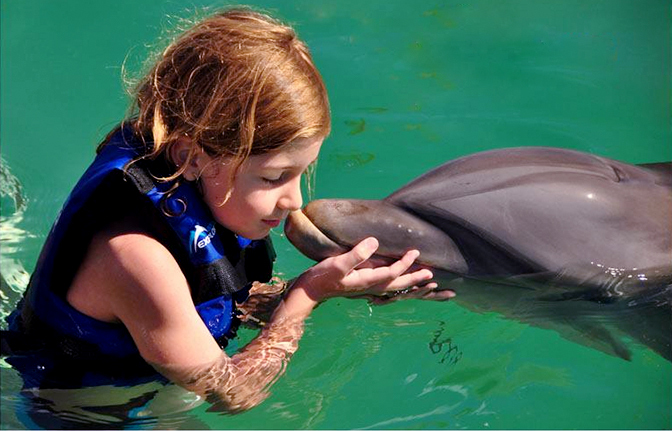 You will spend 30 minutes in the water with lovely dolphin and you will get to know these creatures more intimately. 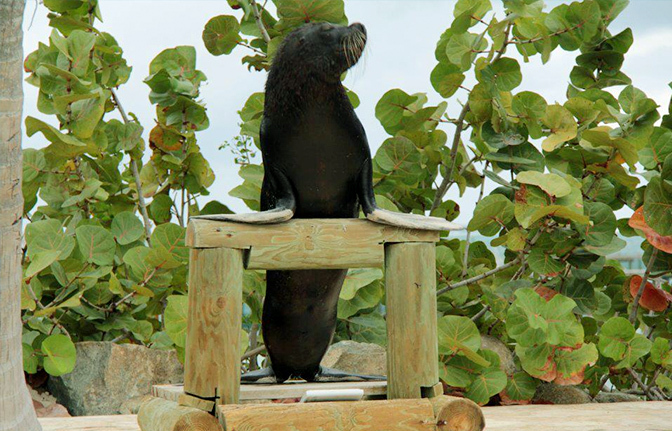 The dolphin trainer will help you learn multiple facts about these incredible mammals. 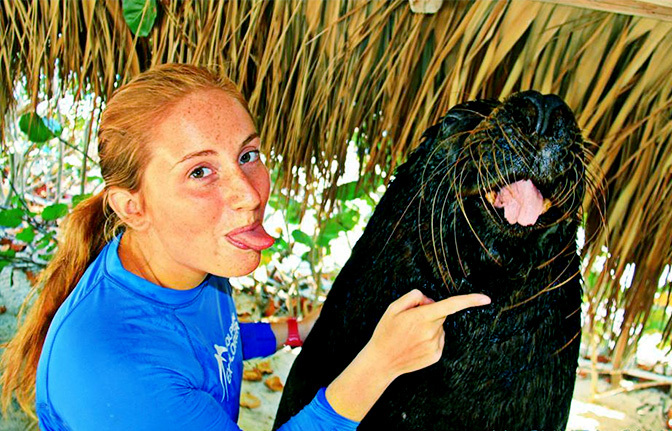 He will instruct you about their anatomy and answer any questions you may have while standing in water just 3 feet deep where you should not miss the chance to experience the magic of a dophin kiss! 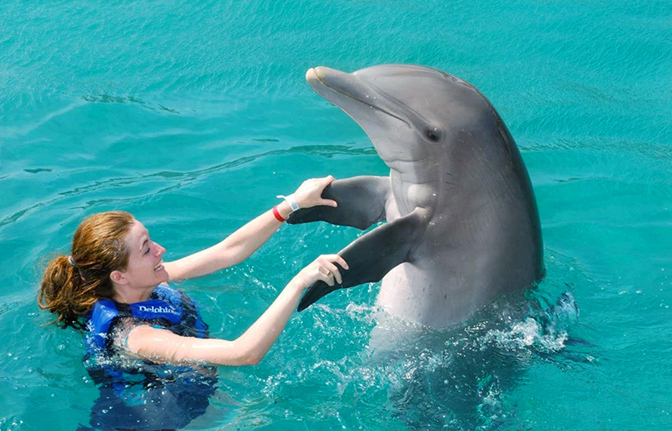 Allthough this is not a full dolphin swim program you'll get the chance to touch and play with a lovely dolphin. Should you begin to feel more comfortable, your trainer will offer you the opportunity to guide you into deeper water and swim with the dolphin. The Funtastic interaction program is suitable for ages 6 years and upwards. Children under the age of 8 need to be accompanied by a participating adult. 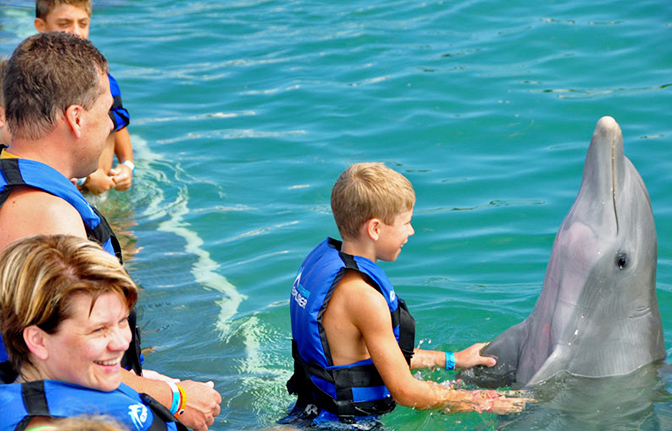 If you are interested in more advanced dolphin swim programs we recommend the other activities like Dolphin Explorer and Dolphin Excellence.